Foreclosure Defense – Szabo Law Group, P.A. The threat of foreclosure is something homeowners never want to face, but through a proactive approach, an attorney can assist in assessing loan documents and addressing debt situations that could possibly keep a person in their home. 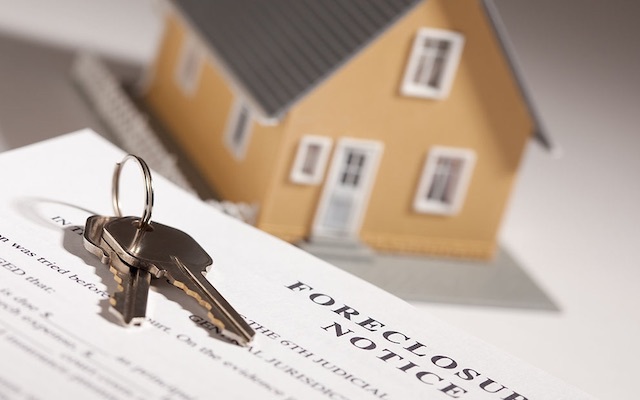 Attorneys are experts at examining loan documents for compliance issues and assessing the overall financial situation, which provides a clearer view of the best options for fighting foreclosure. These options might include catching up on arrears and getting a mortgage reinstated; filing for chapter 7 or chapter 13 bankruptcy; negotiating with the lender; or arranging a short sale or deed in lieu of foreclosure. Homeowners facing foreclosure might think their situation is hopeless, but it’s not. Attorney Aron Szabo will patiently and intently discuss foreclosure defense strategy with the client and come to the most favorable course of action to resolve the foreclosure issue. In some cases, a lawsuit in state or federal court is needed to obtain a restraining order and stopping the foreclosure. It’s no secret that across the country, legislators are targeting improper lending practices, which have really hurt homeowners over the last decade. Whether it’s robo-signing or predatory lending, or drastic changes in income that has a client in a foreclosure situation, Szabo Law Group is able to step in and assist. Some lenders fail to follow the requisite procedures as the loan is transferred or issued, giving clients grounds to fight against foreclosure. Szabo Law Group will conduct a legal compliance analysis to pinpoint the problem. We can help our clients fight against unfair debt collection practices, medication scams, predatory lending and violations of the Truth in Lending Act. The Szabo Law Group has the experience necessary to make qualified written requests under the Real Estate Settlement Procedures Act. Should a client’s lender fail to prove that they are without error, damages can be awarded. A homeowner can’t be evicted unless the bank wins a foreclosure lawsuit. Even if the homeowner is behind on the mortgage, they are entitled to have an attorney represent them until the conclusion of the foreclosure lawsuit. Homeowners get behind on their mortgage, have a suit filed against them, and too many of them give up the home without a fight. When represented by a foreclosure attorney, the bank is forced to prove its case, which can take weeks, months, or even years. All the while, the homeowner can remain living in the home, without paying a mortgage. Szabo Law Group is committed to assisting individuals through their financial obstacles. Aron Szabo personally meets with every client and spends time listening and understanding to their particular circumstance. Szabo Law Group will review the financial circumstances and provide a solution, which might include chapter 7 bankruptcy, chapter 13 bankruptcy, chapter 11 bankruptcy, or another form of resolution. To schedule consultation, contact the Szabo Law Group today at (954) 210–6054.